Eliminates black points and imperfections. 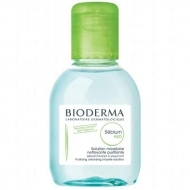 Limits the scars resulting from acne. 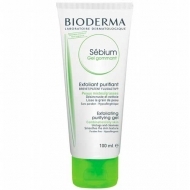 DESCRIPTION: Sébium Global Soin Intense Purifiant from Bioderma is a facial care for acne-prone skin. 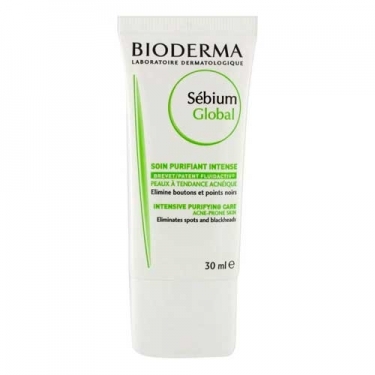 Formulated with the exclusive patents Bakuchiol + and Fluidactiv, it recreates sebum biologically similar to healthy skin and eliminates the recurring imperfections of acne while giving back brightness and relieves redness and itching. Can be applied as a makeup base. Hypoallergenic and non-comedogenic. 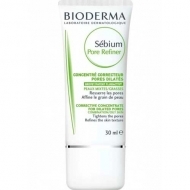 Ideal for skin with acneic tendency.